A searchable collection of over 6,500 images, organized by chapter and browsable by key word for instructor download. 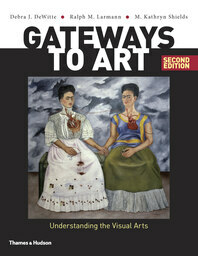 The Gateways Global Gallery has now been updated for the latest Third Edition of Gateways to Art. All of you favorite Second Edition images are still available for teaching; just search the Gallery by keyword to find specific artists or artworks. All images available via the Gateways Global Gallery are for in-class display only and may not be distributed or reproduced without permission of the copyright holder. 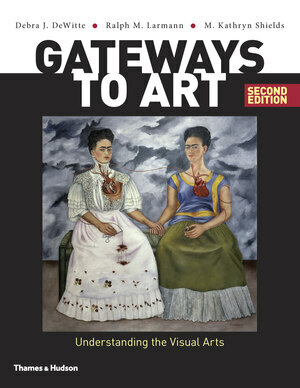 The Gateways to Art coursepack is available free of charge to all instructors and is available in all major Learning Management System formats, including Moodle, D2L, Angel, and Blackboard. All 1,725 images from the book are available for instructors to use in the classroom. PowerPoint lectures written by Marta Slaughter, a studio artist who has taught with the book at the University of South Florida for four years and has worked extensively with the education department to develop her online course. These include all images in the book plus the 49 Flash exercises and 35 videos and are all now completely ADA compliant. The Test Bank covers all concepts and artwork in the textbook. It features over 1,600 multiple-choice, true/false, discussion/research essay-style, and matching-pairs questions, at three levels of difficulty. -Twenty Historical and Thematic videos (carried over from the first edition) for lecture purposes, amongst which a specially commissioned video of Velázquez’s Las Meninas takes students through a detailed analysis of the painting (the latter and the MoMA videos are very important for online courses in particular, as students need to be taught what to look for where without having text to distract them). -Fifteen Media Process videos demonstrate the key media and processes used to create art: painting, printmaking, film and video, glass, and architecture, amongst others. -All 1,725 images from the book are also available as jPEGs. -51 interactive exercises that bring difficult visual concepts to life.